If you don’t already have a plan that outlines how you’ll handle a social media crisis, consider this your wake-up call–and something you should put on your to-do list today. As you create a Social Media Crisis Plan, it’s a good idea to look at your PR crisis communication plan and develop a similar plan for social media outlets. Don’t wait until a crisis happens in the social media space to create a plan for dealing with it — when you least expect it, it will happen. Before we dive into some basics of a social media crisis plan, we also recommend that you create a social media response flowchart. An easy to understand, easily accessible response plan can help ensure that when a crisis happens, the company responds as one voice instead of as many voices who are perhaps not communicating the same message. A flowchart is NOT your social media crisis plan, it’s intended to be an accoutrement to that plan. This is part of our standard operating procedure when we work with any client, and it can go a long way toward helping your front line staff evaluate situations as they happen. Using a flowchart, they can decide which situations they can handle themselves and which might require the involvement of and response from someone else internally. My friend Maddie Grant of SocialFish has written a lot about this and if you’d like to see the Social Media Triage flowchart they developed for one of her clients, it’s linked here. Do Your Homework. Know the influencers; reach out to them. Many times clients have very clearly defined roles around social media and many employees are empowered. Some companies place great trust in their employees in crisis situations and otherwise, and many do not. In those companies, when a crisis occurs it is not unusual for the old school command to jump into place and seize control. Often those are the individuals who have only a basic understanding of the power of social media channels and they either take too long to respond or do so in a stuffy, corporate way that does little to mitigate the crisis. We suggest that if you have a corporate culture such that you trust your employees to behave and respond in the social space the same way they might in “real” life, that you also create a crisis plan that leverages their knowledge of and connections in the social space on behalf of the brand. You might find it will make a huge difference. That’s part of the secret to success of brands like JetBlue, Starbucks and Southwest Air in the social media space. They empower their employees to act like humans. Go figure. Start with the basics. Review all potential issues or crises addressed in your PR crisis communications plan and endeavor to create social media responses and content around each one. Plan for crises, they will happen. We call that a Fire Drill. Create a statement addressing the overall concern(s) and any change of policy that you are implementing as a result. Post this on your home page at regular intervals. Create a landing page on Facebook that contains this statement and direct other online traffic to this landing page. This will help ensure that first views of your Facebook page during a crisis are met with this statement and not a lot of angry wall comments, leaving viewers to draw their own conclusions. Hit them head on with the situation, an explanation and a solution. Regularly re-post this explanation on your Facebook page (don’t assume that once is enough) and post a link to the landing page on Twitter as well. If it is a large, multi-faceted issue, try and create discussion topics and encourage your commenters in those threads instead of just randomly on the wall. It may make them feel like you are more focused on solving the problem/crisis, etc., and also get the negativity off your wall. Facebook is big, no doubt about it. Google+ is, well Google. And if you’re smart, you’ll pay attention. Crisis notwithstanding, if you don’t yet have a brand page on Google+, create one. Then integrate developing a presence and sharing there into your overall social media tactics. When a crisis occurs, you’ll be positioned so that you can use the platform to your advantage. Some things you can consider in a crisis: using Google Circles to monitor what’s being said and communicate, you can use Google Hangouts to get your people out front and center and work to disseminate information and answer questions that arise. People tend to respond well when brands step up and own mistakes, and then put a personal touch on the process of working through crises and getting to a resolution. Google+ can be a big help in that regard. If there is a crisis, plan to be proactive on the biggest business social networking site – it will pay off. Sometimes crises pass LinkedIn by, but people who are active there will probably be aware of a crisis – if it’s big enough. And businesses often don’t yet understand the importance of LinkedIn as a social communication and networking hub. But your employees who are active there know what an important channel it is and probably use it often. As such, ignoring this social network during a crisis is akin to leaving your people hanging out to dry – in front of their peers, prospects and clients. It’s also important to understand that there are many folks active in the social media space who routinely feed their Twitter feeds to LinkedIn, so if something blows up and is being discussed on Twitter, there’s a great chance it’s also present as part of the LinkedIn stream. If something happens, quickly locate your employees who are the most active on LinkedIn and recruit their help. With large follower bases and probably a fair amount of group participation, those members of your team not only need to know about the crisis, they can help significantly when it comes to dealing with it online. You can help by preparing a statement and distributing it for publication in any groups where not only the company but also the company’s employees are active (e.g. HR team groups, business development groups, industry-specific groups, alumni groups, etc). It’s really important to understand that you’ll need to enlist the assistance of your staff for this, because their LinkedIn profiles, the groups they belong to and the interaction they do there belongs to them – not the company. Yet another reason to trust and empower your employees from the very beginning when it comes to social media channels. Being proactive on LinkedIn, providing talking points for and recruiting the assistance of your staff who participate there and understanding the importance of this large business social network appropriately will earn you great respect. From your staff as well as from the public in general. When it comes to social media crisis management, Twitter can be of great value. And this is really where your investment of a time as a brand creating a social media presence can pay off. All too often businesses turn to social media channels when they need them (like in a crisis) instead of building and nurturing relationships and communities along the way. And once their first crisis comes along, they usually realize too late how much value devoting more attention might have provided. When a crisis occurs, plan on using Twitter right away. Immediately create Twitter content that speaks to the issues and link it to the Facebook landing page you’ve created. Don’t ignore Twitter users, treat them if you were dealing with people in a face-to-face situation. This channel can be one of the very quickest ways of calming an unruly crowd in the face of a crisis. and be aware that you need to be following people in return in order for them to be able to send you a direct message. This is where aloof brands that only deign to follow a small percentage of their followers back get the payback they deserve. At least that’s my philosophy. Build a loyal community before you need it. They’ll usually have your back when the going gets rough. Follow. Instantly follow anyone who complains about your brand, during a crisis or not. It allows you the opportunity to provide them with great customer service. And it will be noticed. Be proactive. Post responsive content as suggested above. Take it offline. Always try and take the conversation off line as soon as it is possible to do so. Reach out to influencers. Also, if you’ve laid some groundwork and made relationships in the Twitterverse, reach out to those friends to help get the word out and/or search Twitter to find influencers talking about this and reach out to them directly. When I wrote about AAA, that blog post was disseminated all over the Internet and widely distributed on Twitter. Not once did anyone from AAA reach out to me about the situation, either on Twitter, by a comment on the blog post, or anything else. Had they done that, they quickly could have become part of a “brand success in a crisis” social media story. I’m a client. I love their service. That’s clearly articulated in my blog post and by my comments on Twitter. I would’ve been happy to help. But ….. crickets. Although, to their credit, several regional AAA folks who are active in the social space not only engaged in conversation on Twitter, but also commented on the post and shared additional information, all of which helped people who were interested in more information about the situation. On Twitter, these tactics will help you let the public know you are paying attention and taking steps to resolve whatever crisis has arisen. And that you care about what they think, which is really important. So many times, brands stick their heads in the sand when crises emerge, and being out front and as honest as possible, you can avert and/or minimize a lot of the fallout. People will be checking your Twitter stream to see how you respond during a crisis, so being there is really important to your brand reputation management. Always remember, the people on social networks are just people. And I can safely say that about 95% of the time, good customer service and responses in the public space really do a brand a world of good – especially during a crisis. If your company has a YouTube channel (and hopefully you do) it can be helpful when a crisis happens. If something goes awry and a crisis happens, it is always a good idea to consider producing a video featuring the CEO or other company representative discussing the situation and posting the video to the company YouTube channel. You can then also use that video in press releases, blog posts and on social media sites in order to shore up the brand response to the crisis. The importance of YouTube can not be overstated! Video is very impactful. And getting this right is critical. Be sure you put someone in front of a camera that is well respected, well spoken and charismatic. Don’t use your CEO just because he’s the CEO if he’s a Tony Hayward type (remember BP’s crisis and the ensuing uproar because of Hayward’s “I’d Like My Life Back” idiocy?). We recommend you plan – in advance – on using YouTube to your advantage if you have a bona fide crisis. As your company increases its social media efforts in the coming year, there are other channels to consider. If your people are participating in online groups, forums, question & answer sites (like Quora, etc. ), Tumblr, Reddit or even the current darling of the interwebz, Pinterest, it will be important to regularly be reviewing and updating your overall social media crisis communication outreach plan to include those channels and a plan specific to them. It’s also important to regularly communicate with your staff. Ask your employees what other channels that might currently be participating in that management might be unaware of, and address them in the policy and response plan if needed. Put your people at the top of your list. We mentioned this before but it bears repeating. Don’t forget that your employees are on social networks as well and might need to know how to best address the situation. Provide them with information that they can use on their own Facebook, Twitter, LinkedIn, G+ and other social media accounts that is honest and positive. Get this information to them quickly so that they don’t feel like they are floundering and/or embarrassed by the situation at hand. Communicate with them every step of the way as they will, in many instances, be your best brand ambassadors. And equally as important, ask for their input. Don’t assume you know everything there is to know about all the social networks, just because you’re a muckety-muck charged with corporate comms. Find the people on your staff who are immersed in the social space. Talk with them, learn from them, ask their opinions, involve them in the creation of your social media crisis response plan. You’ll be amazed at the knowledge these folks possess and benefit from their expertise. These tactics are all just advice based on general situations, and it’s important to remember that having a plan and managing a crisis are two completely different things. We live in a 24/7 world and when a crisis happens, response teams have to be prepared to jump into action immediately, and often get online in order to do so, any time of the day or not, not just during normal business hours. The Internet puts crisis comms into overdrive. Even though you have a plan in place, having the team aligned to help you find the right voice and bring the right context to the situation is critical. This includes your legal counsel, your PR team, marketing, executive leadership and social media experts and it’s critical that in advance of a crisis they are all identified, accessible and all aware of the overall response plan before a crisis happens. Hopefully some of the information and resources provided and linked here will help you. 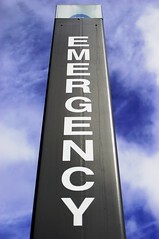 Either to develop your own social media crisis response plan or fine-tune your existing plan. And for those of you reading this who already have a plan in place or who have survived a crisis, what have we forgotten? Would love your thoughts. This post originally appeared on the V3 Integrated Marketing blog.